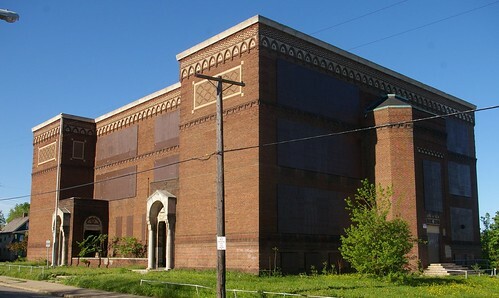 I agree that CMSD should have an architectural salvage plan at least. CCF seems to have glossed over that "green", "thrify" sort of planning with their demos. This demolition money could be much better spent getting rid of more dilapidated houses. These old school buildings contain higher embodied energy and are much more reuseable than poor quality houses... They tend to be fireproof, robust structures in comparison to the inefficient, repetitious and slapped-up frame houses around them. They could be centerpieces of new development, instead, they'll be empty lots. 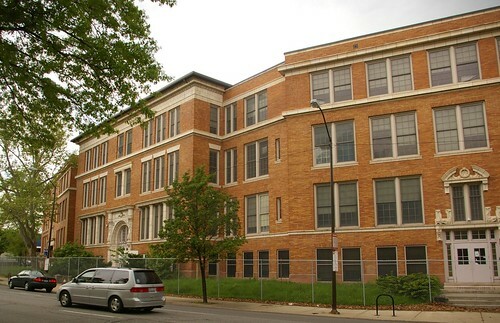 I think that the demoliton of East High and South High is a disgrace for both neighborhoods. Unless there are plans to put something in those spaces immediately, it's going to make those neighborborhoods look even more depressing. 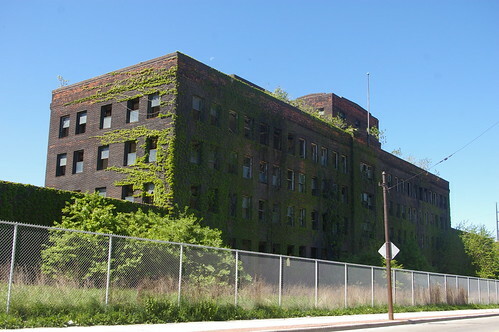 Not sure how tearing down historically significant structures fits into the overall sustainable Cleveland plan by the mayor, or are the tow offices not talking to each other. Once a building is gone, it is gone and cannot be brought back-ever! 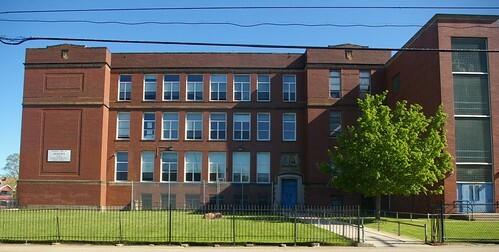 In Portland, a private company bought an elementary school and created an awesome space. It is a hotel (classrooms for suites) with community gym, a busy restaurant, three additional bars, and a movie theater/pub. This is the inventive kind of thinking that we need here in Cleveland! 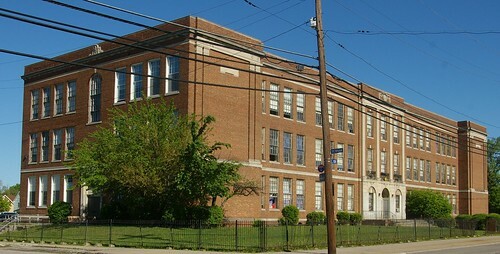 I was really to learn that Euclid Park Elementary School was torn down a few years ago. I went there and it was a good school and such a nice setting on the hill. 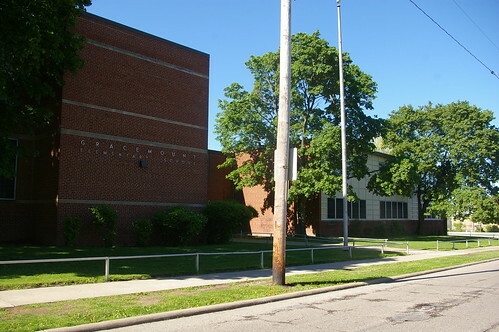 Does anyone remember the old Broadway School - or Holy Name Elementary School that was on the corner of Worley Ave and Broadway? It was torn down I believe in the late 70's - early 80's. 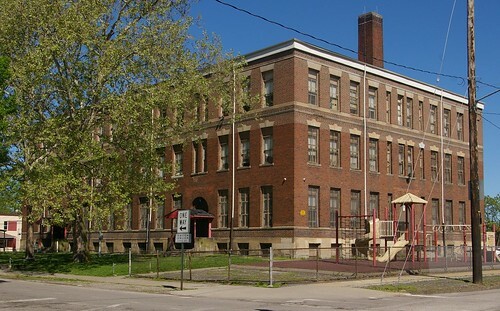 I'd like some info on that school - there is only one picture of it on Cleveland Memory. I heard that the school was dismantled and built somewhere else. church is still there. I remember the building you are referring to. It was approximately five stories tall and demolished back in the 80's. Apartments were built on the property. I used to catch the bus at the corner on Broadway in front of this building while attending A.B Hart. The Holy Name these other folks are referring to is down near Harvard ave. Almost all those buildings would make great living spaces, I used to live on Random rd in Little Italy and the beautiful apartments next to me were in a former school building. Very sad! They should at the very least take the time to AUCTION OFF THE OPPORTUNITY to go through and salvage what it salvageable. Cleveland CAN have what other cities have but unfortunately the people that can make that happen won't do it unless there is something in it for them. Think about it, if you have vacation time would you spend it in Cleveland? Most people GO SOMEWHERE else! All anyone has to do is watch the Travel Channel to see where people are going. When was the last time you saw Cleveland on the Travel Channel? Exactly... if we don't have year-round reasons to visit Cleveland, why would anyone from out of state come to visit? If you build it they will come....but try rehabbing first!! I remember watching them build John W. Raper and attending school there. I went to Charles Dickens and Alexander Hamilton also! I am sick to my stomach!!!! This is a travesty!! 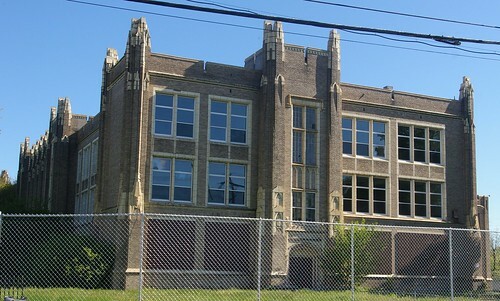 I went to East high from 2006-2009 & I loved that school it really breaks my heart thats it going to be torn down...I would love to have something from the building for memories !!! Wow, product of the old South High (AB Hart) and first graduating class of the new South High. Both of my parents also graduated from South. I also taught in Cleveland Public Schools and was present when a man named Judge Batisti ordered "desegregation". Sorry, but it ruined one of the best public school systems in the country. So, so sad. Not only was there White flight, but Black. You see we all want the best for ALL of our students, and as we have found out, "desegregation" was wrong. Living & teaching in Ca since '87 and sorry, I can't support our public schols anymore. dandy Jim Crow is loud and Well. 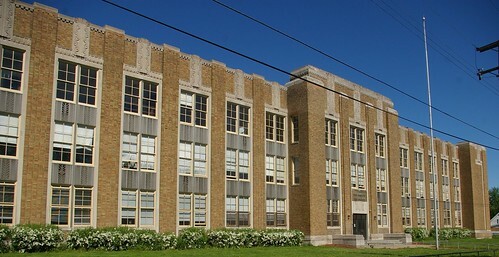 South high school was a good school-graduated 1994 with honors. Then it was not that bad, it is after I graduated when I felt it went bad. Good times at this school and always will be for me. When the new South HIgh opened it was dubbed the most beautiful, high tech school in Ohio. Graduated from South in '69 and taught in CPS (as it was known then) for 6 years. Terrible, terrible shame what has happened to Cleveland. Forced busing did not help the system but contributed to it's demise. South was a beautiful school. Went there the second year it was opened. Gym floor wasn't finished yet. Still have my schedule..the book they gave you with a map of the classrooms. Still have my treasure chest of item I kept when I graduated. South High Flyer notebook pad you could buy in the school store, wrestling book, home coming book. Met my future husband of 40 years at the school. Great teachers...great students. Times have sure changed. Still get warm fuzzies thinking about it and looking at my memorabilia.SIGH...Go Flyers! 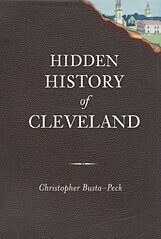 I don't think forced busing was as much an issue as was deindustrialization of the Cleveland Metro area. The erosion of the tax base and smaller family sizes also had major impact. 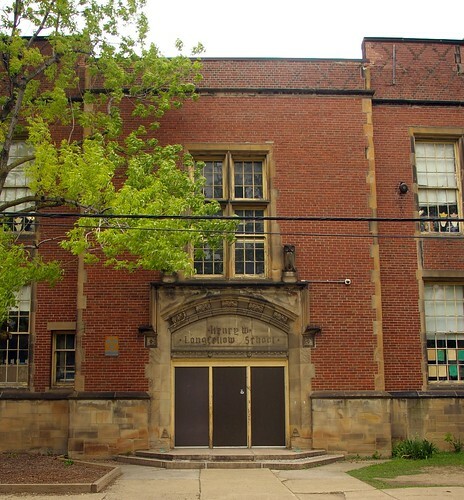 Every school I attended in Cleveland were very ethnically mixed, from elementary schools like the old Doan and Oliver Wendell Holmes to John Adams High, of which I graduated from in 1965. It is depressing seeing the impact on neighborhoods and the city as a whole when schools close but I guess it's a matter of using existing tax revenues where they can be maximized. My Dad was Assistant Principal of Mount Pleasant until he died in 1983. He passed away at the age of 42 of a heart attack. 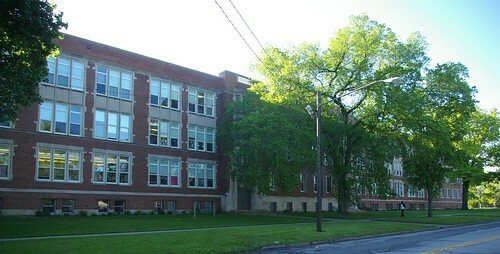 I attended the old A.J.Rickoff school third thru sixth grade. Had a wonderful teacher there, Mr. Rose. Best thing that ever happened to us, devoted, determined,dedicated to showing us that education wasn't just about abc's and 123's, she broadened our focus with french, we learned to play chess, not to mention arts, crafts and trips.She taught us OUR history on the side, on her own time.Thank You for caring. I also went to AJ Rickoff. That school was torn down because the roof caved in. At least they had a legitimate reason to rebuild it. Unlike some of the other schools. 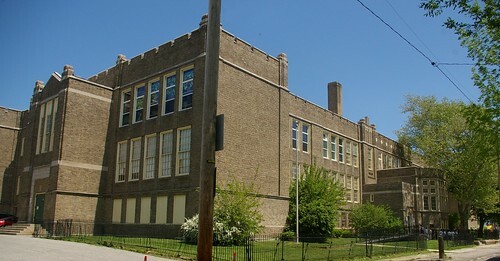 I still haven't gotten over them tearing down Corlett Elementary to put the NEw Charles Dickens there. 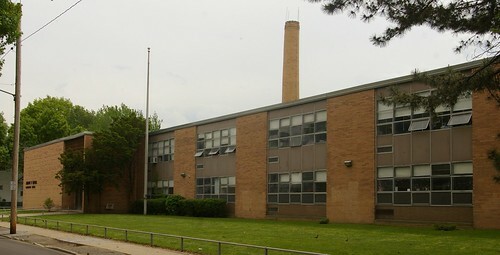 I am still bitter that they chose to rebuilt John Marshall instead of renovating it like they did John Hay. I was in the first graduating class of South High School in 1969. 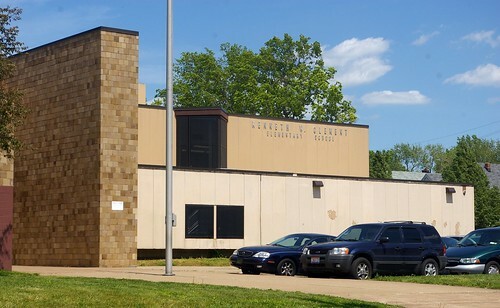 It was a beautiful school with its indoor courtyards, state of the art auditoriumn and stage, and one of the first computer labs in the state. We started before it was totally finished but were still impressed. So sad to see it go. It is a matter of values and priorities. If you don't value something you won't take care of it, If it is not a priority you won't do anything. We are too busy in our society valuing "quick, easy, and cheap", and we want it all right "now". And we give far too much credit to human intelligence. Not valuing these buildings and tearing them down is / was short sighted, selfish, and down right stupid. The majority of these school buildings are better built than the buildings that have or will replace them. These buildings are part of our heritage and our culture - all disposable in today's America. Shame on us. We will not build buildings as nice as this again. The architectural detail is exquisite and we don't add that to any new buildings. All of these buildings should be taken off of the demolition list and an adaptable reuse should be found for all for them. 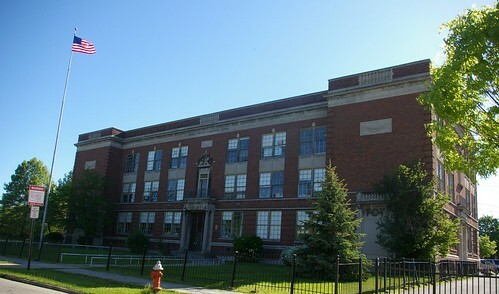 It is clear to me that the educators and bureaucrats on the board of education that decided the fate of these buildings did not learn much when they were students in them. They should give up their position to persons wit a greater sense of responsibility and more creativity. I went to Miles School in the 1950's. Great teachers in those days....Mrs. Donner, Alice Morey, Jack Durell ( gardening ), Mrs.Losch ( principal ) , Ms. Sarazen, Mrs. Bertoli, Mrs. Byrant and the best of all Helen Wycoff. I somehow remeber Mrs. Wycoff telling us stories of what she remembered of being a 5 year ld girl in the Oklahoma Land Rush of the 1890's. She taught 5th and 6th grade Major Work which was a gifted program back then.